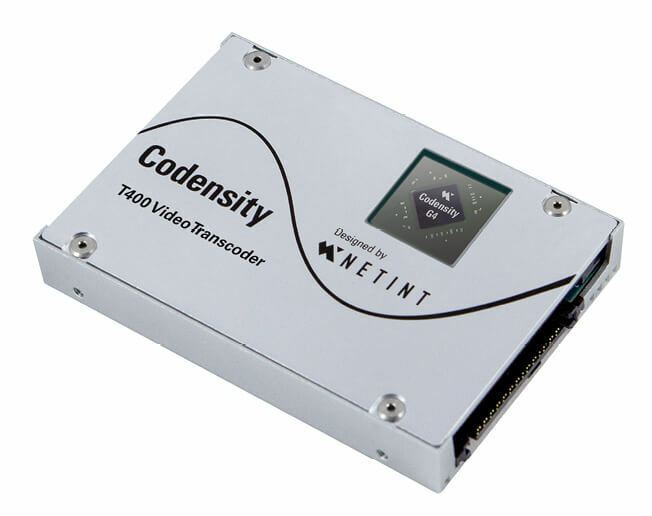 Codensity™ T400 Video Transcoders offer high quality, scalable encoding for live video streaming, through a unique combination of ASIC-based encoding densities and economics, with the scalability of NVMe cloud storage infrastructure. Each Codensity T400 module leverages ASIC-based H.264 AVC and H.265 HEVC video processors which deliver high quality encodings up to 4K UHD resolution, at a lower price point compared to alternative encoding architectures. The result is a significant improvement in processing density, while driving down costs, rack space, and power requirements. NVMe is a high performance interface for controlling storage devices. The Codensity T400 Video Transcoder is designed to the same NVMe standard, so that dense encoding capacity can be built using NVMe servers, each hosting multiple Codensity T400 plug-in modules. To streamline integration, the Codensity T400 solution includes a FFmpeg compatible SDK, allowing service providers using FFmpeg to apply a libavcodec patch in the NVMe host server to achieve quick and significant encoding capacity upgrades. 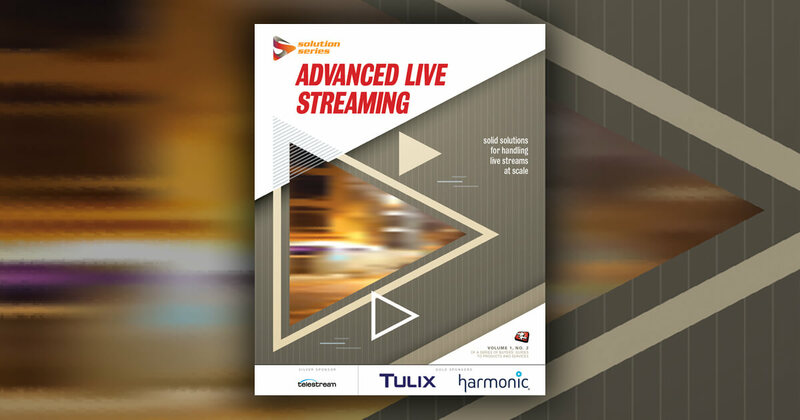 Live video content producers or streaming service providers looking to minimize distribution and encoding costs while maintaining video encoding quality. CDN and cloud computing service providers looking to increase encoding processing capacity with less capital, rackspace, and opex. Media companies looking to prepare encoding ladders at scale, for distribution to subscribers using a variety of playback devices. Low predictable latency, even at full load. Integration: Codensity T400 FFmpeg/libavcodec patch completes integration with FFmpeg running on NVMe servers. This article is sponsored by NETINT Technologies.